Inspired by the values and beliefs shared by Grupo RBS, the Code of Conduct expresses which actions are to be expected from our employees on a daily basis at our business either internally or externally towards our audiences. In order to make sure ethical and respectful relationships are maintained with all of our audiences, the Code of Conduct at Grupo RBS is also a guarantee to keep and to consolidate our reputation and to successfully bring to life our long-term business vision. This is a full-time commitment we make to our audiences. 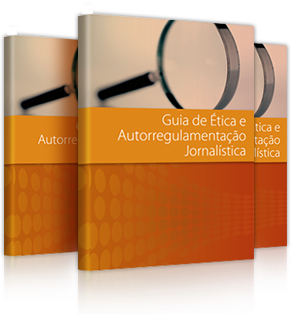 The Guide to Journalistic Ethics and Self-Regulation reasserts the values, editorial guidelines and ethical principles governing over Grupo RBS' journalistic production and its professionals' conduct. The aim is to ensure the powers of our readers, listeners, viewers and digital media users.